Experience three extreme machines with this superb off-road driving experince. Drive a Monster Truck (Hi-Lux British spec), a Jacked-Up Jeep, and a Land Rover 90 around the track! Muddy Marvellous! Drive a Monster Truck to feel truly all-powerful! Forget all that tiresome steering around obstacles and just rumble your way over them! Don't give a thought to saving paintwork or any of that polite driving nonsense - this driving experience is big and obnoxious! Barrell your way across, through, and over a superb purpose-built driving track that really test your mettle, and showcase the immense power of these monster machines. 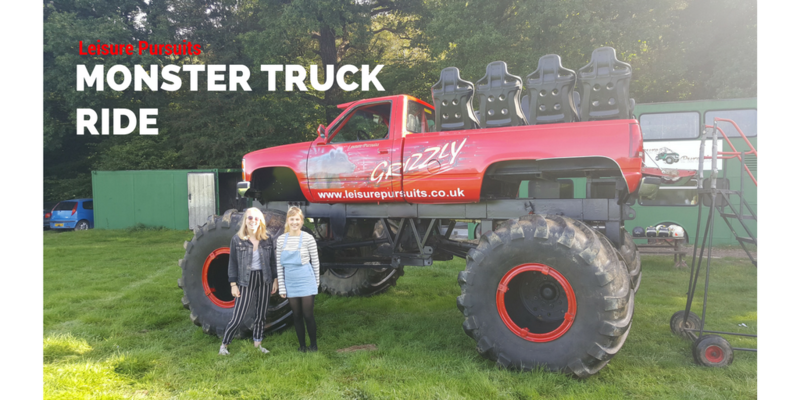 The serious monster truck driving is how the day kicks off - you will get into the Hi-Lux British spec 'Black Ice' monster truck for the drive of your life! Once you have tamed that beast you will move on to the jaw-dropping jacked-up Jeep to drive it along a high view track, before finally getting behind the wheel and driving a Land Rover 90 through a muddy woodland course.Once you have arrived and been welcomed to the centre your day will begin with a thorough safety briefing covering all aspects of controlling these 3 monster machines. You will then be introduced to the beasts that need taming... starting with the Euro Spec Monster Truck. After a good session in the big boy it's time to move onto the fantastic 'jacked-up' Jeep before moving onto the Land Rover 90. You will drive each of the vehicles around the specially designed course that will challenge both you and the vehicles! 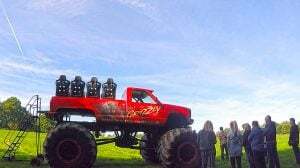 This Monster Truck driving experience runs once a month on selected weekend dates from February to December. 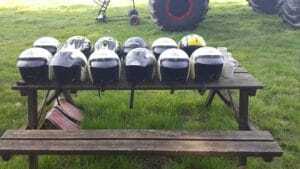 A drivers licence isn't required, however, drivers must be able to drive. This experience will last for around two hours in total and is shared between 2 people at once. Actual Driving Time: Around 30 mins. 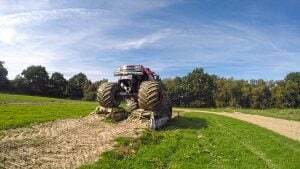 Participants: The West Sussex Monster Truck Driving Experience is for 1 participant. Each participant is allowed a maximum of two spectators each. Passenger Rides in the Monster Truck of up to 3 are possible, however are subject to availability at sign on. Please note that there is no indoor viewing area and that the site is not suitable for young children. Spectators attend at their own risk. Please wear comfortable, loose fitting clothing and shoes that provide good grip. The site is muddy. This experience will only be affected by very extreme weather conditions; if in doubt please check with the centre before setting off.